Mangalarga Marchador appeared in Brazil, in the south of the State of Minas Gerais. It descends from the Alter horse, a breed brought to Brazil by D. João VI, when the Portuguese court moved to Brazil in the early nineteenth century. 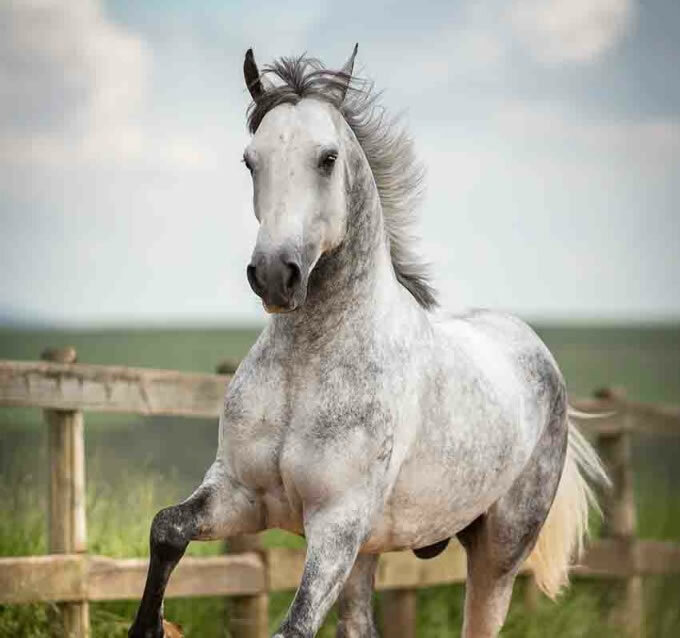 It has as main characteristic the beaten gait, which is different from the ones found in other marching horses in the world.